Gen-Y Facebook users (those now roughly age 18-29) often use their Facebook profiles as an extension of their professional personalities, even as they socialize with family and friends, the study finds. Below, additional findings from Millennial Branding's study of 4 million Gen-Y Facebook profiles, gathered via Identified.com's database on Facebook. 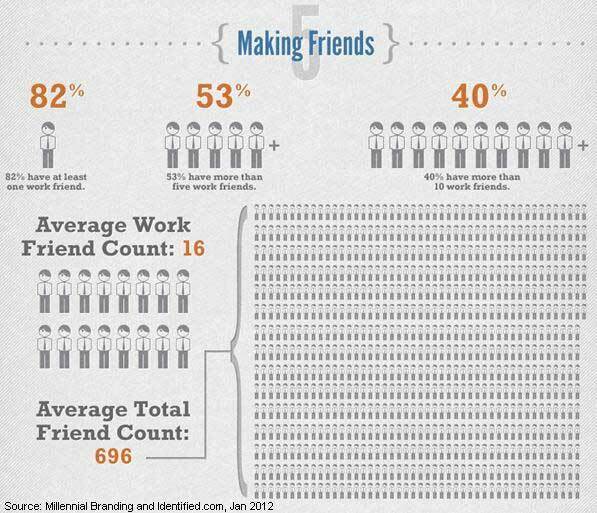 Only 36% of Gen-Y Facebook users list an employer on their Facebook profile, whereas 80% list at least one school.